Rukmini, also known as a form of Devi as Goddess Lakshmi is the wife of Lord Krishna. She was believed to be known for her beauty, love and honesty. Rukmini is the first and prominent queen of Lord Krishna – The king of Dwarika. She is well-known in Hindu legends as the principal wife of Lord Krishna. According to Bhagwat Purana (ancient Hindu doctrine), Lord Krishna valiantly kidnapped her and saved her from an unwanted marriage with a wicked Shishupal. Krishna took her away and married her. Rukmini is also considered to be a personification of Devi Lakshmi (the goddess of fortune). As per the Puranic Encyclopedia, Princess Rukmini was born on the 11th of Vaishakha (Vaishakh Ekadashi). Goddess Lakshmi as her one of the avatars took birth in the Earth as Rukmini in the family of Bhismaka. As Lakshmi is Vishnu’s Shakti so is Rukmini Krishna’s Shakti. Wherever and whenever the name of Krishna is chanted, there also lies the name of Rukmini. And in this way, they aren’t separated. Rukmini was the daughter of Bhishmaka – the king of Vidarbha. Rukmini fell in love with Krishna and longed for Krishna. She had heard much about the Lord Krishna’s high calibre, his character, charm, grace and greatness. According to the Mahabharat (Hindu text book) and the Puranas, It is said that Rukmini is just as beautiful and virtuous as an apsara (an angle). Krishna also fell in love with Rukmini as she was exceptionally beautiful and the most sought princess on Earth longed by many Kings of different lands. Rukmini’s eldest brother Rukmin, was a friend of evil King Kamsa, who was killed by Krishna, and hence Rukmin was against the Lord Krishna and his marriage with his sister. Rukmini was all set to marry Lord Krishna but Rukmin, strongly denied their marriage and changed Bhishmaka’s (their father) mind. Rukmin was a determined prince and wanted his sister Rukmini to get married to his friend Shishupala – (the crown prince of Chedi). Shishupala was a good friend of Rukmin. Rukmini came to know about the plan of not letting her marry Krishna. She then immediately called the Brahman, Sunanda upon whom she had a huge trust. She asked him to deliver a letter to Krishna where she wrote about the conspiracy and asked Krishna to marry her. She also mentioned that if Krishna refused to marry her then she would commit suicide. She requested Krishna to come to Vidarbha so that she could run off with him. Rukmini also pleaded Krishna not to fight with anyone because in the battle many of her family would die. As soon as Krishna got the letter, he left to Vidarbha with Balarama (his brother). In the meantime, Shishupala was enchanted to get the news from Rukmin that she would marry him. Rukmini received the news that Krishna was coming to her by their individual secret agent. Bhishmaka secretly received Krishna and wished that Rukmini get married to him. 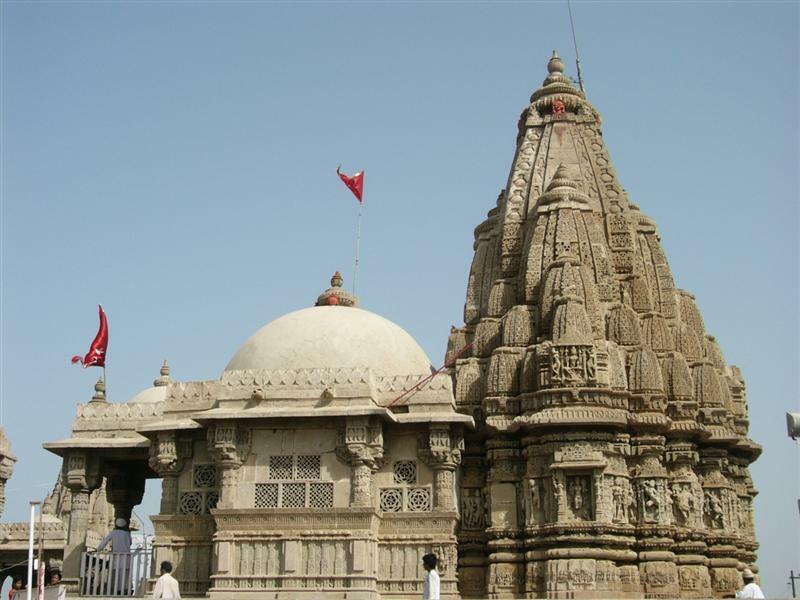 Bhishmaka also made a palace especially for Krishna so that he could live there with Rukmini. After Krishna and Balarama arrived at Vidarbha, Bhishmaka welcomed them gleefully and made them comfortable. In the palace, Rukmini got ready for her upcoming marriage. She went to the temple to plead but not seeing Krishna there made her rigorously upset. Inside the temple, she prayed to Goddess Parvati (Lord Shiva’s wife) so that Krishna would arrive and tie the knot with her. After, Rukmini came out of the temple, she saw Krishna. 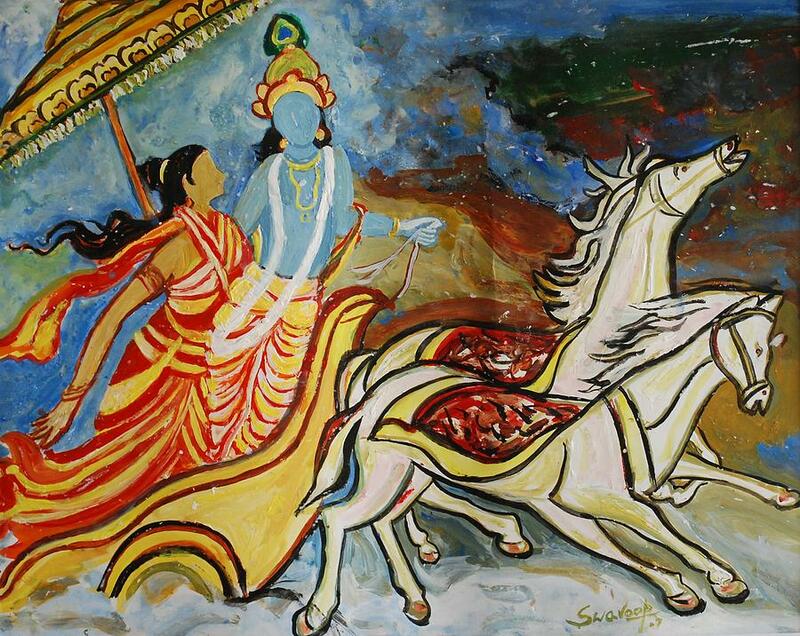 Krishna soon put her into his chariot and they both started to ride off. Meanwhile, Shishupala noticed them and all of his armed forces quickly started chasing them. Balarama occupied most of them and held them back. Rukmin, then caught up Krishna and Rukmini. Krishna was about to take his life but Rukmini fell at the feet of Krishna and begged for her brother’s life to be spared. Krishna being kind hearted, agreed to spare Rukmin’s life but as a punishment Krishna shaved Rukmin’s head and set him go free. Thus, shaved head was a sign of embarrassment of the warrior who is defeated in the field. Pradyumna, Charudeshna, Sudesna, Charudeha, Sucharu, Charugupta, Bhadracharu, Charuchandra and Vicharu. Krishna and Rukmini had only one mighty daughter named Charumati. At Krishna’s death Rukmini and seven other of his wives sacrificed themselves as an offering of oneself in the same burning funeral as Krishna’s. Rukmini is worshipped as the companion of Lord Krishna. 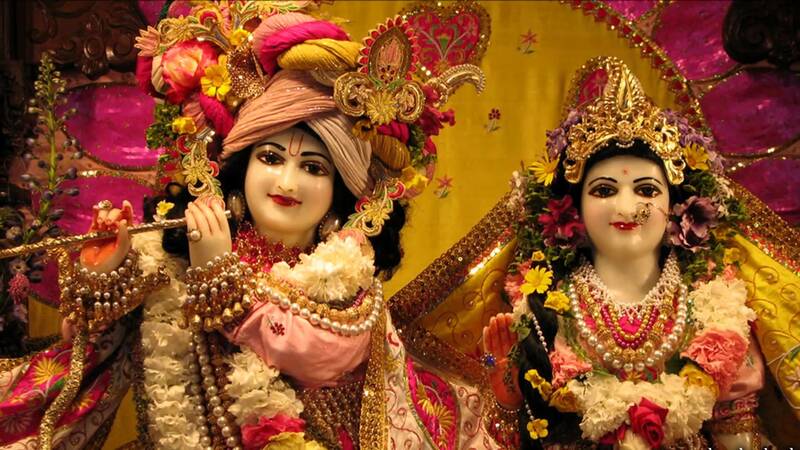 In various Hindu temples of Lord Krishna, statue of Rukmini is place right beside the statue of Lord Krishna. They aren’t usually separated. She is mostly praised for her beauty and good virtue and her immense love for Lord Krishana. Rukmini devi’s servant messenger is believed to have appeared in this world as Vadirajatirtha and he composed a famous work Rukminishavijaya glorifying Rukmini and Krishna in 1240 versus spread over 19 chapters.